Recently I saw a question on an on-line forum wondering if the questionnaire’s relative should be doing a reverse mortgage. They stated that the relative who is in their mid-60’s and in great health recently remarried a woman who likes expensive things. This relative evidently has a monthly fixed income of $8,000 and an expensive home and wants to do a reverse mortgage. With concern over the new wife “bleeding him dry” they “want to protect him.” They asked for others experience and opinions on reverse mortgages. There is a lot of misinformation about reverse mortgages. Most articles in the media, politicians, so called “financial advisors” who write and/or comment about reverse mortgages and those mortgage professionals who don’t offer them, friends or neighbors with the statements that they are “bad” are based on their own opinions, not on the facts. They have not talked with those of us in the reverse mortgage industry to get the facts. So don’t base your opinion or decision on these sources. You don’t go to a plumber if you are having health problems, right? You go to a doctor, and not just a generalist but a specialist in the area of need. Well the same should be true with a reverse mortgage – go to a reverse mortgage specialist to get the facts to make your decision. A reverse mortgage is a mortgage with special terms for seniors 62 and older. Some of the differences include income and credit scores are not considered to qualify and monthly mortgage payments are not required. Rather than a 15 or 30 year term, the loan is due and payable when the home is no longer the primary residence of the borrowers or on the 150th birthday of the youngest borrower. In addition, the reverse mortgage is non-recourse, which means if the loan balance is higher than what the home can be sold for there is no personal liability to the borrower or their heirs. If the home is sold for more than the loan balance, the borrower or their heirs receive the difference. Often thought of or stated as expensive, the costs are actually comparable to a conventional mortgage except for the FHA Mortgage Insurance Premium. See a side-by-side comparison at “Comparing Reverse Mortgage Closing Costs To A Conventional Mortgage – You’ll Be Surprised They Are Not That Different.” And because the interest rates are historically lower than conventional mortgages, in the big picture the reverse mortgage can be less expensive. Generally seniors don’t qualify for a conventional mortgage. And even if they do, one needs to consider that payments are required. What happens if “life happens” and one can no longer make the payment? They could be facing foreclosure. I often get calls from those who took out a conventional mortgage and can no longer make the payments and now want to do a reverse mortgage. Unfortunately, I often have to say that there are not enough funds from the reverse mortgage to pay off their current mortgage (a requirement of the reverse mortgage). They would have been better to do a reverse mortgage in the first place. Now with that said, just like anything, a reverse mortgage is not right for everyone. While there are no limitations on how the funds can be used one should consider if they will have funds to cover taxes, insurance, maintaining the home as well as other needs in the future. It sounds like in this situation there is more concern about the new wife’s spending habits. Are you or others concerned about the new wife eating away at an inheritance? Because reverse mortgage proceeds use the equity, there may be less inheritance for heirs – this can be considered a negative of the reverse mortgage. 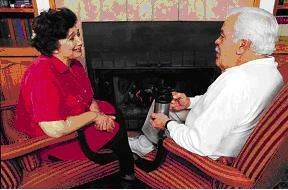 I would suggest a conversation with your relative to understand their reasons for a reverse mortgage. Is the pension and income paying for the everyday lifestyle but they want extra to enjoy life such as traveling or modifying their home to be prepared for the future? Do they have a financial and estate plan in place? Do they have long term care insurance to cover needs of their future? Have they talked with an elder law attorney to set up a will or trust to determine that the inheritance will go to his heirs and not all go to his new wife? After helping them get the facts and looking at options, keep in mind it is his decision in the end. You might check out, “Who Are We To Judge How Reverse Mortgage Funds Should Be Used? Find a reverse mortgage originator who specializes in reverse mortgages (not conventional mortgages) who has experience and will provide you with the facts and details. Look for one who has the client’s best interest in mind, not just their own. Work with one who is local – not doing applications through the mail (for example I originate in Minnesota and meet with borrower’s and their relatives in person.). And see if your relative will allow you to be part of the meetings with the originator and the counseling. “What to Consider When Talking With Reverse Mortgage Lenders” will help you know questions to ask reverse mortgage originators and determine who you should have assist you with a reverse mortgage. To get facts and details on reverse mortgages, explore my website, http://www.RMSIDAC.com and other articles on my blog, http://www.BethsReverseMortgageBlog.wordpress.com. Who Are We To Judge How Reverse Mortgage Funds Should Be Used? This entry was posted in 1, Bank Lender, Care Management, Foreclosure, HECM, Home Health Care, HUD, MN Reverse Mortgages, Mortgage Broker, Retirement, Reverse Mortgage, Senior Financing, Senior Issues and tagged Boomers, Care Management, Caregiving, FHA, Finances, Financial Planning, HECM, Home Equity Conversion Mortgage, HUD, Minnesota Reverse Mortgage, Mortgage Costs, Negatives of Reverse Mortgages, Retirement, Reverse Mortgage, Reverse Mortgage Benefits, Reverse Mortgage Details, Reverse Mortgage Facts, Reverse Mortgage Myths, Reverse Mortgages in The News, Senior Advocacy, Senior Finances, Senior Housing, Senior Independence, Senior Options, Senior Real Estate by Beth Paterson, CRMP. Bookmark the permalink. I saw an interview on the Today Show with a so called money expert. She warned against getting a Reverse Mortgage…she said that it could cost you up to 20% of your properties worth!! Norm, thanks for stopping by with your question. These “so called experts” on the Today Show as well as other media are the ones I am talking about in my many articles on the misinformation about reverse mortgages. They are not reverse mortgage experts and do not bother getting the actual facts from reverse mortgage experts. The closing costs, other than the cost of the appraisal, become part of the loan balance. The interest on reverse mortgages are historically lower than with a forward loan so in the big picture the reverse mortgage can cost less than a forward loan. I think it’s important to note that with a forward FHA mortgage, the up-front Mortgage Insurance Premium is 2.25% vs the 2% on the FHA reverse mortgage. So the forward FHA mortgage is more expensive than a reverse mortgage. Unfortunately, many do not look at the costs of a conventional mortgage, they just make blanket statements without really doing the comparison as I have done. Thanks for the opportunity to clarify with facts! Three follow up questions, please. 1. When you apply for a reverse…do they send someone to check out the house the same as a normal mortgage??? Do the same rules apply or do they make all kinds of special demands…”change this, move this”, etc.? 2. After We get the reverse…do they send people to bother us and check on the property regularly…or do they leave us alone as with a conventional loan? 3. Are all the reverse loans the same or would you reccommend a particular company? Thanks for the opportunity to answer your questions. 1. An appraisal is ordered by the lender’s processor after the application and counseling is completed. The appraisal visits the home, inside and out checking that the property meets HUD’s requirements – much like a conventional mortgage. If repairs are required, they generally can be completed after the reverse mortgage is closed although a contractor’s bid is likely to be required to determine the amount to be set aside to cover the costs of the repairs. The most common, but not all inclusive, repairs called for include the condition/life of the roof, chipped or pealing paint.no bare wood on the siding or window trim. Electrical and plumbing needs to be working. Structure and foundation are also looked at. “Staging” or upgrades for looks are not required. 2. One of the requirements of the loan is the borrower’s responsibility to maintain the property. However, lenders’ servicers may do “drive-by” inspections but they don’t knock on the door or “bother you” unless they suspect there may be an issue. Annually the servicers do send an letter requesting verification of occupancy. Borrowers simply need to sign and return this letter stating they are still living in the home as their primary residence. Being the loan is secured by the property only with no personal liability to the borrowers or the heirs these are a few differences from a conventional mortgage. But not intrusive. Note that borrowers are responsible for paying their property taxes and keeping insurance on the home. 3. The programs are pretty much the same but there is a difference in the lender’s and the originator’s knowledge, experience and customer service. Visit my blog post, “Don’t Let Fear Keep You From A Reverse Mortgage But Know What To Look For In A Lender” for questions to ask as you’re talking with originators. One important factor that is often not considered but should be is to learn if the originator available after the loan has closed. I find my borrowers often have questions, months and years after the loan has closed as well as from the family when the borrower is no longer in the home. So find someone who will be there for you even after the loan has closed. Feel free to ask for references from other borrowers and professionals. And of course if you are in Minnesota we can assist you. 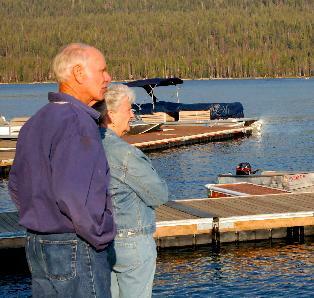 Our parent company is located in Oregon and is also licensed in Washington and can assist you.